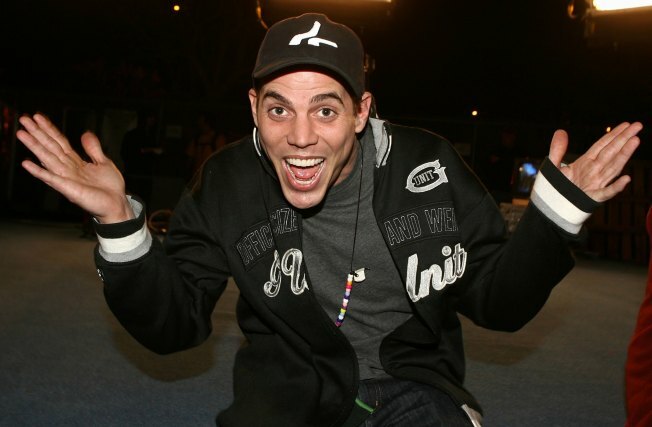 For "Jackass" stunt man Steve-O, it wasn't always fun and games when the cameras stopped rolling. The star famous for crazy antics you shouldn't try at home opened up about his drug addiction and being sober for the past two and a half years to The New York Times on Friday. "Just about every scene in that first movie, except the ones we filmed in Japan, I was visibly on cocaine," he told reporter Melena Ryzik, adding that he promised his co-stars he would keep clean for movie No. 2, "but I was more out of control in other ways. Since "Jackass" began as an MTV series that celebrates that profane and often-time cringe-worthy shenanigans of Steve-O and friends, it has launched into two movies and is on its way to a third. The trill-seeker has gotten many a YouTube hit for jaw-dropping tricks like snorting worms and swallowing live goldfish. But things got a lot less funny off-camera. Steve-O has been arrested for drug possession, disorderly conduct and assault, and urinated on the red carpet in front of his family at the "Jackass Number Two" premiere - a moment that he's not the most proud of. The tattooed clown was forced to confront a serious problem when co-star Johnny Knoxville staged and intervention with TV therapist Dr. Drew. He spent six months in treatment before moving to a halfway house. "I was locked up in the psych ward with two weeks on my hands," Steve-o explained to the Times. "Some people came in and talked about how they stayed sober and it stuck. They gave me the idea that getting sober was something that could be done and that I had to do it." Steve-O's dark path had a lot to do with the helplessness he felt in his career, he revealed to the Times. "I felt like I was at my own funeral," he explained about the premiere of the second "Jackass" flim. "I was convinced there would be no more movies, nothing was ever going to be that big of a deal. I was so afraid of the rest of my life. I just didn't have any identity aside from my persona. Peeing on the red carpet had a lot to do with that."